Barlow Lenses There are 2 products. Our high quality 1.25" Barlow Lens will double the magnification of any eyepiece inserted into it while at the same time preserving the "eye relief" of the eyepiece. 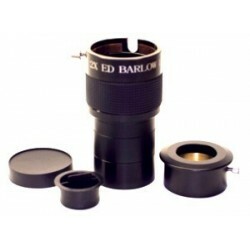 Our quality 2" Barlow Lens features ED glass and compression ring fittings. 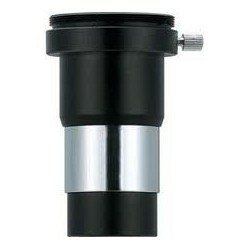 a Barlow Lens will double the magnification of any eyepiece inserted into it, while at the same time preserving the "eye relief" of the eyepiece.